Moonridge is a hillside residential area on the south end of the Big Bear Valley and is surrounded by national forest. 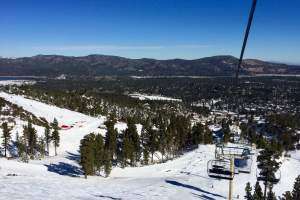 Moonridge is home to Bear Mountain Ski Resort, Bear Mountain Golf Course, Big Bear Alpine Zoo and the Moonridge Corridor. Many properties in Moonridge have spectacular ski slope views and/or lake views. The majority of homes in the area are second homes and or vacation rentals. Moonridge overlaps two zip codes – Big Bear Lake, 92315 on the west side, and Big Bear City, 92314 on the east side. Moonridge includes the MLS subareas of “Gen” Moonridge, Lower Moonridge, and High Timber Ranch.